Our range of salt spreaders are ideal for use around residential and commercial buildings. They allow fast and effective gritting of access roads, car parks and footpaths. Our Grit Bin Winter Packs contain all you need to keep the areas around your home and business premises snow and ice free this winter. All packs include a grit bin with grit salt and some packs include extras such as high visibility vests, a salt spreader, gloves, a shovel or scoop. Rock salt has a lower freezing point than water. By spreading rock salt onto a road, path or driveway, when vehicles or pedestrians move over it, the crystals crush and spread across the ice. This causes a reaction between the water molecules and rock salt which prevents ice developing. 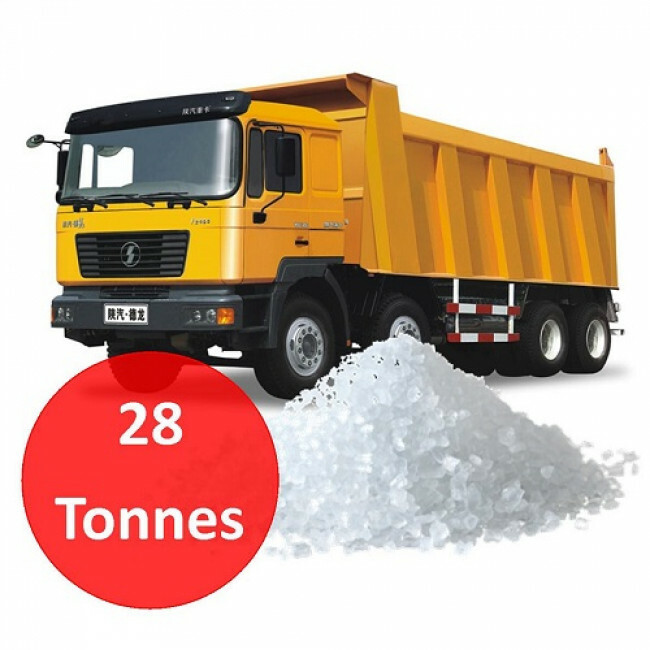 Lorry load of 28 tonnes of loose brown or white rock salt. Please ensure that the delivery location is suitable for large lorry access and that you have a designated area for the salt to be dropped from the delivery vehicle. This salt is loose and is tipped from the vehicle. Please make sure you let us know of any delivery restrictions (weak bridges, narrow lanes, low bridges etc) when you place your order. By doing this, we can then make sure that your delivery of rock salt is delivered on a suitable vehicle. Failure to notify us of any such restrictions may result in a surcharge and delay of delivery. Need to know more about this product? Let our experts help you!